Behold the GTX 480! 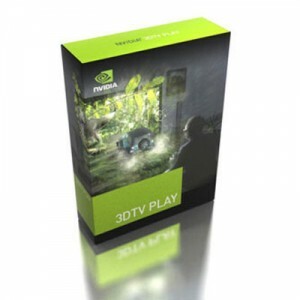 NVIDIA sees the 3D revolution and has come up with their very own 3DTV play software technology that lets a GeForce GPU-powered computer to a 3D television. This lets a user play either 3 games or be completely immersed in 1 game over three different screens giving a more intense gaming experience. NVIDIA explained that the connectivity would be through a HDMI connection and does require a user to wear 3D glasses for the brand of television used. Rtime stereoscopic 3D conversion is performed by the 3DTV. Multiple games have already been selected for the 3D experience. Sources indicated that the numbers of those are about 400. NVIDIA directly competes with AMD in the 3D market in an attempt to get the fastest and the best 3D GPU out there. Bringing together 2 GTX 480’s lets to render a 3D image with glasses on. The glasses render the image with the help of a laser device. The NVIDIA software will be available this spring for $39.99 while no official price is quoted yet on the GTX 480. We haven’t heard from AMD about anything that would be considered a competitior yet. 3D gaming, I would dig that! More news and info can be found here. Next OpenPeak’s OpenTablet 7, an iPad competitor?